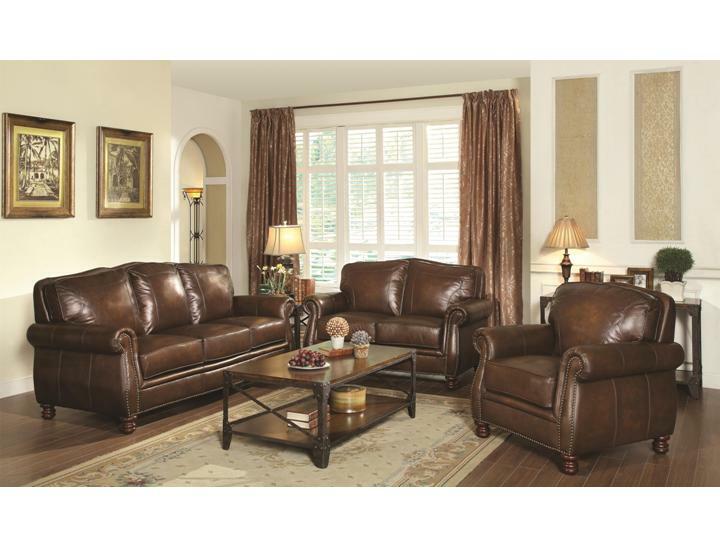 Furnish your living room with the Montbrook collection. This group has multiple seating options, all upholstered in 100% leather. Features include traditional rolled arms, nail head trim, and turned wood legs. The cushions are made with sinuous springs and the frames are made of wood, providing stability for heavy use. 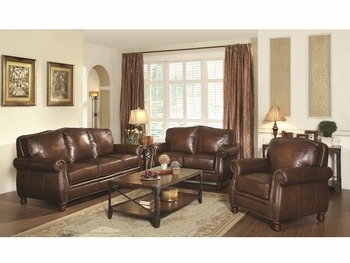 If you're looking for a classic, warm, and inviting living room, look no further than the Montbrook collection.